Elegant, Graceful and every woman’s greatest need for a fantastic night out is a set of tantalizing black earrings. 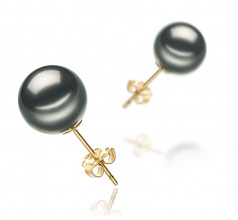 These Black beauties are just the set you are looking for, at 9-10mm the Black Tahitian Pearl Earrings sport a near perfect shape on or off the ears. Their overall appearance on shape alone is well taken and easily noted when compared with size. 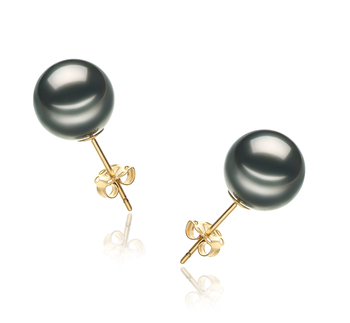 The desirability of the Black Tahitian Pearl Earrings is remarkable due to the pearl’s surface. The luster’s AAA grade is in direct comparison to the shape. 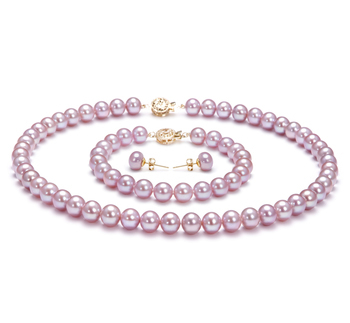 Together, they create a powerful couple and an even more powerful Pearl. The glistening surface attracts the attention of those in your company and calls the attention to your natural beauty. It has the potential. To pull your overall look together into one cohesive and throughout design that looks like it just came off the latest fashion runway.